Posted by Tantumblogo in awesomeness, Basics, catachesis, General Catholic, Glory, Grace, Interior Life, reading, Saints, sanctity, Spiritual Warfare, the struggle for the Church, Tradition, Virtue. Zeal for souls finds its source in charity, and in the contemplation of of Christ crucified. His wounds, His Blood, the excruciating sufferings of His agony, all tell us how much God values souls, and how much He loves them. But this love is unrequited, and it seems that ungrateful men strive more and more to elude His action. It is this sad spectacle of all the ages which is renewed even today, as though men wished to insult Jesus and renew His Passion. “The world is on fire. Men try to condemn Christ once again, as it were, for they bring a thousand false witnesses against Him. 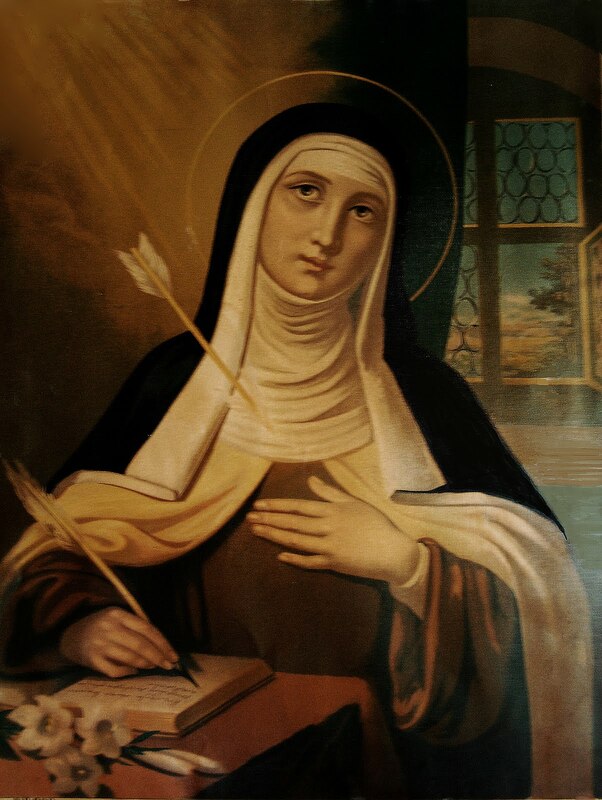 They would raze his Church to the ground” (St. Teresa of Jesus, Way of Perfection, 1). If Teresa of Jesus could speak these words in her century which was troubled by the protestant heresy, how much more can we say it in ours, when the struggle against God and the Church has increased immeasurably, and has now spread over the entire world. [And even into the Church. Or perhaps especially into the Church. The bastions must be re-erected. But how is beyond me at this point. I fear it’s going to take a great fall and then perhaps they can be built again, from the rubble. ]Happy shall we be if we can say with the Saint: “It breaks my heart to see so many souls traveling to perdition. I would the evil were not so great……..I felt that I would have laid down a thousand lives to save a single one of all the souls that were being lost.” (Way of Perfection, 1) But it is not a question of merely formulating desires; we must work, act, and suffer for the salvation of our fellow men. O my dear Lord, how much oppressed are You by those to whom You have shown so much good! It seems as though these traitors [me, for I speak boldly, but I am weak] would send You to the Cross again and that You would have nowhere to lay Your Head. My heart cannot conceive this without being sorely distressed! “now rejoice in my sufferings for you, and fill up those things that are wanting of the sufferings of Christ, in my flesh, for his body, which is the church” (Col i:24). Could the Church have fallen into her present deplorable state had the faithful not fulfilled this edict from St. Paul, to complete the sufferings of Christ’s Sacrifice in our own flesh? Are we doing all we possibly can to “fill up those things that are wanting?” I sadly must declare that I am not. I could do much more. I pray that I will. Posted by Tantumblogo in Basics, Bible, catachesis, episcopate, General Catholic, Glory, Grace, manhood, paganism, Papa, sadness, scandals, secularism, self-serving, sickness, Society, SOD, Tradition, true leadership, Virtue. Bishop Joseph Osei Bonsu of Konongo-Mampong in Ghana disagreed with the notion that aberrosexuals [German site Katholisches’ term for sodomites/those of perverse inclinations] could go to heaven. The President of the Ghanaian Bishops’ Conference, who is descended from the ancient royal family of the Ashanti, is of a quite different opinion. 23 *And they changed the glory of the incorruptible God, into the likeness of the image of a corruptible man, and of birds, and of four-footed beasts, and of creeping things. 32 Who, having known the justice of God, did not understand that they, who do such things, are worthy of death: and not only they who do them, but they also who consent to them that do them. There’s a lot of folks in a lot of trouble, spiritually, and the truly frightening thing is, there is almost no one to tell them what danger their souls are in. I just want to say one more brief thing: good for Bishop Bonsu for teaching the Truth with charity. But really, that’s not heroic virtue, that’s his minimum duty as a prelate in Holy Mother Church. The only reason it seems heroic is because so very few of his brother bishops are willing to stick their necks out and proclaim the truth in that manner. That is, so many other manifestly fail in their duties, it seems heroic when a bishop actually fulfills it. So pray like mad for our bishops, which I know so many of you already do. But apparently there is still much to be done. Posted by Tantumblogo in Basics, catachesis, General Catholic, Glory, Grace, Interior Life, manhood, Saints, sanctity, the struggle for the Church, Tradition, true leadership, Virtue. Saint Augustine says that Jesus Christ, having first given His life for us, has bound us to give our life for Him; and, further, that when we go to the Eucharistic table to communicate, as we go to feed there upon the Body and Blood of Jesus Christ, we ought also, in gratitude, to prepare for Him the offering of our blood and of our life, if there is need for us to give either of them for His glory. St. Peter, in order that we might remember to be ever grateful to our Savior, reminds us that we were not redeemed from the slavery of hell with gold or silver, but with the Precious Blood of Jesus Christ, which He sacrificed for us, as an innocent Lamb, upon the altar of the Cross. Great, therefore, will be the punishment of those who are thankless for such a blessing, if they do not correspond to it. It is true that Jesus came to save all men who were lost (Lk xix:10); but it is also true what was said by the Venerable Simeon, when Mary presented the child Jesus in the temple: Behold, this child is placed for the fall and the rising again of many in Israel, and as a sign of contradiction which shall be spoken against (Lk ii:34). By the words for the rising again he expresses the salvation which all believers should receive from Jesus Christ, who by faith should rise from death to the life of Grace. But first, by the words he is set for the fall, he foretells that many shall fall into a greater ruin by their ingratitude to the Son of God, Who came into the world to become a contradiction to His enemies, as the following words imply: He shall be a sign which shall be spoken against; for Jesus Christ was set up as a sign, against which were hurled all the calumnies, the injuries, and the insults which the Jews devised against Him. And this sign is spoken against not only by the Jews of the present day, who deny Him to be the Messiah, but by those Christians who ungratefully return His love with offenses, and by neglecting His commands. …….Wherefore, if we do not love Him, and obey His precepts, of which the first is that we should love Him, we are not only ungrateful, but unjust, and deserve a double punishment. The obligation of a slave rescued by Jesus Christ from the hands of the devil is to devote himself wholly to love and serve Him, whether he live or die. Once again, the topic of mercy comes to mind. There are plainly efforts afoot from the highest authorities in the Church to propagate a false concept of mercy that puts Doctrine and justice in conflict with charity/mercy. As we see from the above, however, it is impossible to show proper gratitude for God if we do not accept All that He has told us, including those things which are deeply unpopular and countercultural today. At least, that’s how a great Saint, perhaps the greatest expert on moral doctrine in the history of the Church, viewed things. It is not that he was wrong, or overly zealous, nor that his exegesis is somehow dated and out of place, but that many have fallen under the dread influence of modernist indifferentism and general weakness of Faith. 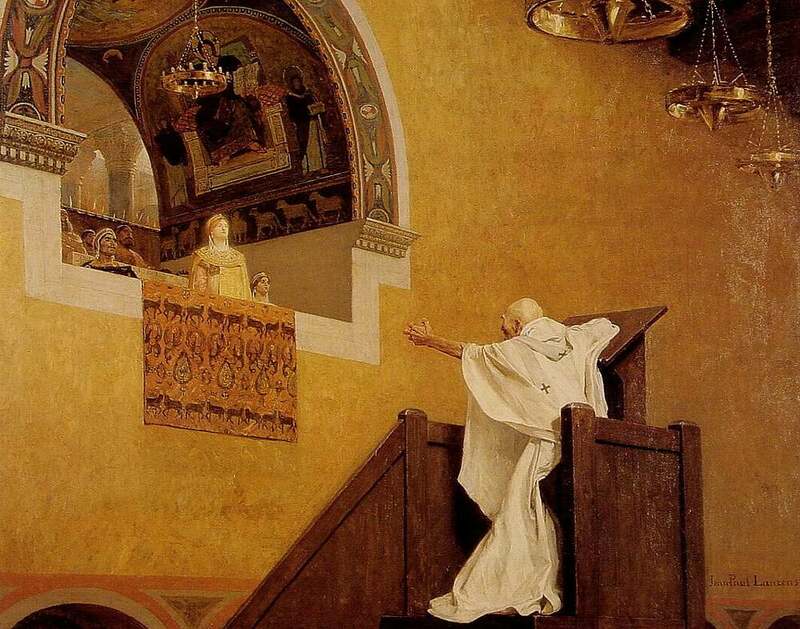 And for those, St. Alphonsus predicts a dire end, being among those Christians who return Christ’s love with offenses by neglecting His commands. Not an enviable state. They definitely need many prayers. Posted by Tantumblogo in awesomeness, Basics, catachesis, Christendom, Dallas Diocese, family, General Catholic, Interior Life, Latin Mass, Society, Tradition. Just wanted to give a quick reminder that an administrator from Wyoming Catholic College will be on hand at Mater Dei parish in Irving, TX this Thursday October 1 at 7:15 pm (or immediately after the 6:30 pm Mass). Trevor Lontine, alumnus and admissions counselor at WCC will be on hand to answer your questions about what WCC has to offer you or your children. WCC is probably one of the least expensive, if not the least expensive, faithful Catholic colleges around. I don’t know that they are explicitly traditional, yet, but with Dr. Peter Kwasneiwski one of their most prominent faculty, the traditional practice of the Faith is growing there. So come check it out! You don’t have to be affiliated with Mater Dei in any way to attend. Posted by Tantumblogo in Christendom, Ecumenism, General Catholic, persecution, Society, technology, the enemy. The Russian Parliament today gave President Vladimir Putin approval to begin military operations in Syria. Operations began almost immediately thereafter. Operations appear limited to airstrikes at present, with a strong ground presence around the airbases housing several types of Russian fixed-wing and rotary-wing aircraft. Russian forces gave any US forces that might be in their area of operations 1 hour notice to clear out before attacks began. Since the US and other nations have been engaged in a very low-intensity air campaign against ISIS in Syria and Iraq, it remains to be seen how operations with Russian forces can be coordinated, or whether they will, at all (big potential for problems, there, but I imagine Obama will just surrender, again, and force ROE on US forces that keep them hundreds of miles from anywhere Russians might be operating). Note this – Russian bombing will not be the extremely precise, minimum collateral damage that the US and its “coalition partners” have been practicing. Many of these attacks have amounted to pinpricks with many high-value targets excluded due to ostensible fear of causing “civilian” casualties (or perhaps because Obama really doesn’t want to fight his co-religionists very hard). Russia won’t do that, for one thing, they have very few and very poor precision guided munitions, secondly, their aircraft don’t carry advanced sensors to aim precisely, and thirdly, they rarely care about civilian casualties. In the Chechnyan War, in Georgia, they frequently made use of carpet bombing by Tu-22M3 bombers. None are deployed to Syria, but they don’t need to be – they can easily reach Syria from Crimean bases recently annexed, involuntarily, from the Ukraine. 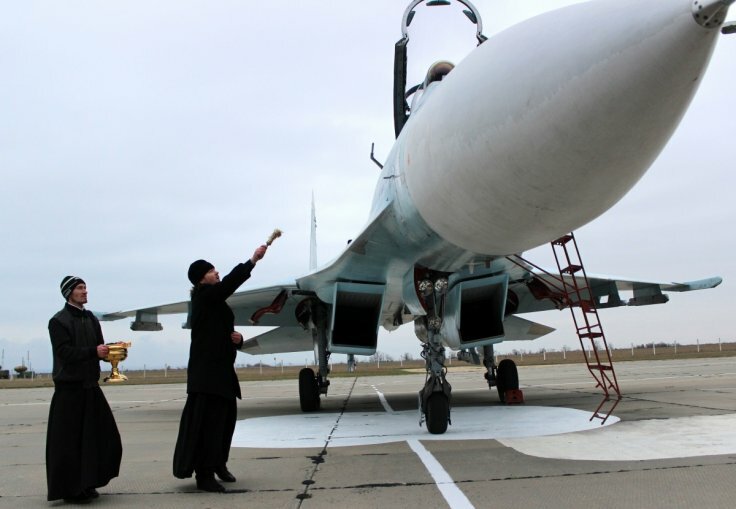 The Russian Orthodox Church has backed the country’s parliamentary decision to give President Vladimir Putin permission to use military force in Syria, saying the fight against terrorism is a “holy war”. The head of Synodal department for church and society, Archpriest Vsevolod Chaplin, told journalists on 30 September that the decision from the upper chamber of parliament, the Federation Council, to authorise air strikes in Syria was “consistent with international law, the mentality of our people and the role that our country has always played in the Middle East”, according to Interfax news agency. He added that Russia cannot be indifferent while Christians and other minority groups are being destroyed in the region. [Well, they’ve been being wiped out for years, so don’t paint yourself as too much the hero] The interreligious council of Russia released a statement in support of military operations against terrorism in the Middle East. “The fight against terrorism is a holy struggle and today our country is perhaps the most active force in the world to combat terrorism,” the priest said. It should be noted that Syrian President Assad – who controls perhaps 1/4 of the main populated areas of his country now – requested this intervention. He has been gradually losing this war for years, especially since ISIS became involved. This is really a last ditch effort to keep his regime alive – which is something I hope happens because if ISIS takes over, it will be curtains for Christians in a land where millions have lived for thousands of years. While Russia may be covering their actions in a cloak of high morality, there are also of course geo-political reasons for the intervention. Syria is Russia’s last client state in the western Mideast. Aside from Iran, which is very much an independent actor, they are their only remaining client. Naval bases in northern Syria are their only access point in the entire Mediterranean now, since Qaddafi fell. So they have strong reasons to see the regime survive. But I don’t think airstrikes alone are going to do it. Assad has lost so much territory and support they’re going to have to intervene on the ground and in large numbers in order to make a substantial difference. Not initially, but the inevitable logic of this kind of open-ended commitment is to gradually get sucked in more and more. If Russian bases fall under mortar or rocket attack, for instance, there will be a great temptation to expand their security perimeter by several miles. That will mean contact with the enemy, which will in turn create pressure for even more ground forces and even further contact. The generals will be screaming for more intervention if all this comes about. And that will mean large losses, and the potential exposure of Russian kit as being well below Western standard yet again (which really kills Russian arm sales overseas, one of their prime means of funding procurement for their own armed forces at home – it’s the same model the French use). It will take enormous strength on Putin’s part not to get gradually sucked in – unless, of course, he’s planned that all along. But counter-insurgencies are a nightmare to fight, as both Russia and the US have found out repeatedly over the years, take a long commitment and a willingness to take high losses. Is that commitment there? Are the Russian people in favor of this intervention? Western media say no, pointing to some polling data that ostensibly shows broad Russian opposition to involvement in Syria. Russian people have generally been supportive of Putin’s various escapades in Chechnya, Georgia, and the Ukraine. But further afield? Fox News has published more details on its claim that Russia has demanded that American warplanes exit Syrian airspace immediately. Airspace de-confliction in a combat area can be a b—h. Generally it requires positive radar coverage of the area (which AWACS can provide, but do we have enough, and are they flying over Syria?). The Russians will probably get positive radar control from the remaining Syrian government ground stations. But without an overall plan and coordination, unfortunate accidents could certainly happen. And what would it be like if armed US and Russian warplanes happen upon each other? Will we finally get to see how much better the F-22 is than the Su-30MK? One final thought – is ramping up the scale of the Mideast conflagration an attempt by Putin to drive oil prices, upon which the Russian economy is utterly dependent, up, and a great deal? Posted by Tantumblogo in awesomeness, Basics, different religion, episcopate, General Catholic, Glory, Grace, Papa, Sacraments, scandals, secularism, self-serving, Society, SOD, Spiritual Warfare, the struggle for the Church. Someone has set up a website that will, upon request, assign anyone who requests it a Synod father to pray for. With the Ordinary Synod on the Family starting this Sunday, time is of the essence. The way it works is that you will go to the website and click on a link that launches an e-mail for you to request a father to pray for. They then send you the name and you can offer a Novena or whatever prayer you feel is appropriate for the circumstance. I hope they send me Cardinal Kasper or Daneels. They won’t know what hit them! Look, this whole crisis afflicting the Church certainly has its human element and we spend a lot of time dealing with that, but our main battle remains with the principalities and powers that have influenced the minds of many in the Church in a most horrifying way. In terms of human influence or natural means to change the direction the leadership of the Church has taken since March 2013, I don’t think we laity have many effective means of intervention. But in the spiritual realm we can exercise great power. I have been trying to ramp up my own efforts in that regard with perpetual Novenas and other prayers to change the hearts and minds of so many of our leaders, or, failing that, to at least prevent them by some supernatural means from doing something irretrievably destructive. So! I pray you will consider praying for one Synod father in particular. It’s the best response we have at this point. Perhaps we can move the God of surprises to really shock the revolutionaries in the Church!